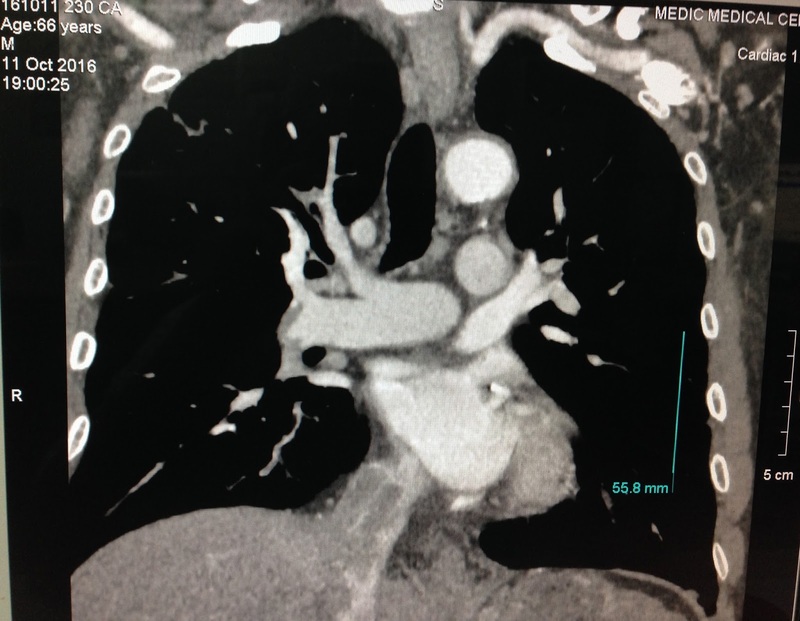 MAN 66 yo with CHEST PAIN and DYSPNEA. 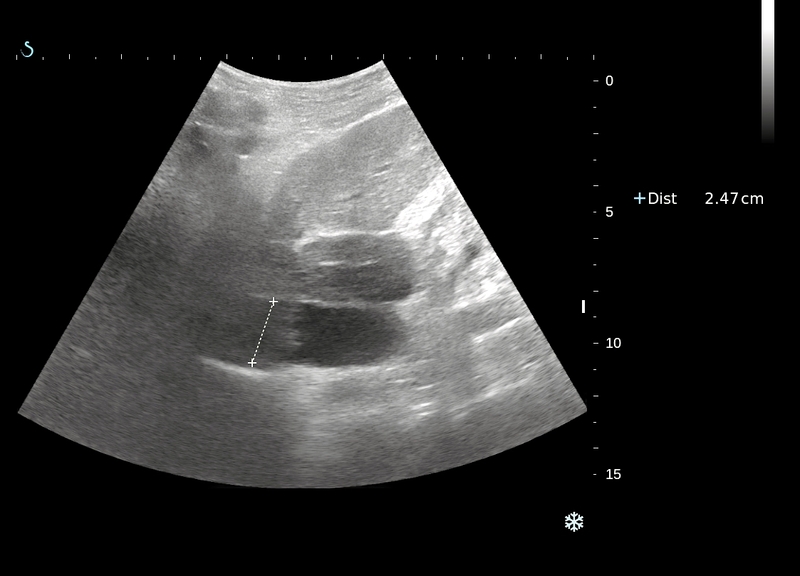 EMERGENCY ECHOCARDIOGRAPHY DETECTED INTRA CARDIAC MASS, LOOKED LIKE THROMBUS. 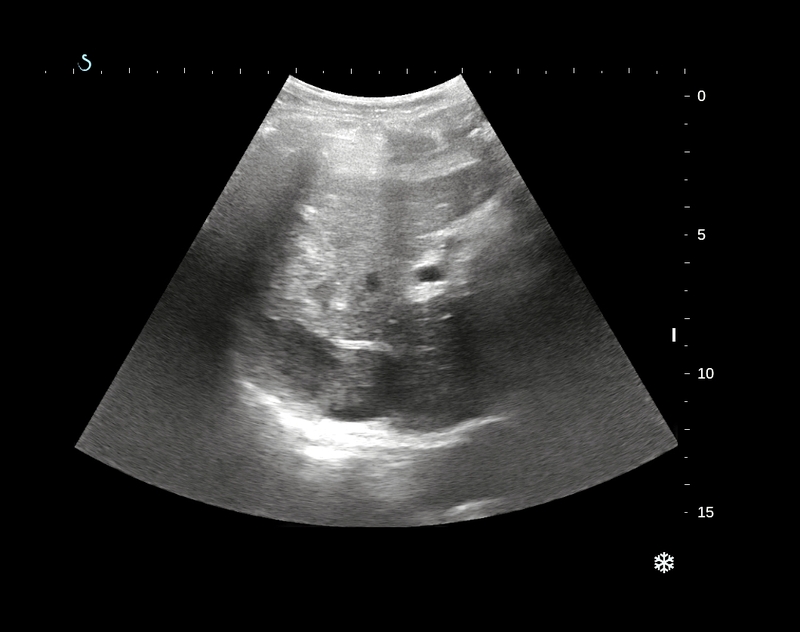 ULTRASOUND SCAN of LIVER DETECTED a LIVER MASS SIZE of 4cm and DILATED 2cm in DIAMETER and OBSTRUCTED by A HYPOECHOIC MASS ( US 1, US 2). 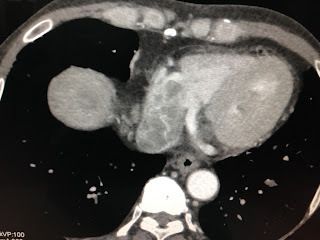 MSCT with CE DETECTED LIVER MASS and TUMOR INVASION TO HEPATIC VEIN TO IVC and GOING to RIGHT ATRIUM and FILLING DEFECTED at PULMONARY ARTERY (CT1, CT2). CT3 (section) SHOWED LIVER MASS, RIGHT ATRIUM MASS and INTRA LEFT VENTRICULAR MASS. BLOOD TEST = HCV POSITIVE; WAKO TEST = TRIPLE POSITIVE. 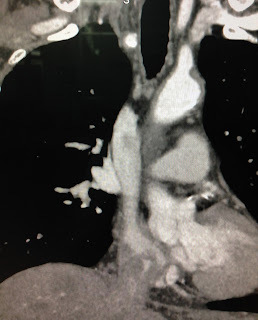 CONCLUSION: HCC GOING TO HEART.